Getting fit takes planning and patience. Whenever you want to make a change you have to find out where you are, decide where you want to be and then come up with a plan to get there. Each step is crucial in the process to becoming fit. That goes for both physical and fiscal fitness. The basic formula for weight loss is calories expended > calories consumed. Similarly, the basic formula for financial success is Income > Expenses. Without that formula being true you can't save money which means you can't invest which means you can't build wealth. For the past five years or so my wife and I were doing extremely well. We were DINKs (dual income no kids) with solid income, relatively low expenses and excellent free cash flow for investing. However, we've let things get a little bit out of control with some of our spending, mainly purchasing a little bit more house than we need and purchasing a new car for my wife. Life happened as well over the last 1.5 years and our debt is now around $50k excluding our house. Of course the downside to having debt is that it increases your required spending each month. Our monthly debt payments, excluding the house, come to about $1,100 which is way above our comfort level. So now we know where we stand, but where would we like to be? We both want to get back to regular saving and investing, but we're currently running very close to breakeven each month. That means our investing is on hold which slows down our progress towards financial independence. Getting rid of the debt will free up a lot of cash each month to and would be a large cushion between our income and expenses. That's vital when you add in that my wife is pregnant and we'll be losing her income since we both want her to be a stay at home mom. I mentioned earlier how the basic formula for financial success is Income < Expenses and our ultimate goal is to get back to that point with as large of a gap as possible. Once we get our gap back we can resume our progress towards financial independence. Luckily none of our debt carries a high interest rate with the highest around 3%. So at least we're not getting killed in the meantime. 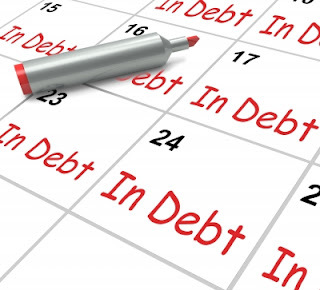 Our plan is to use all excess cash flow each month to aid in paying down our debt balances to get them back to zero. We'll pay the minimum amount on all of our debts each month and on the smallest balance we'll pay whatever extra cash flow we have each month to that balance. Once the smallest debt is gone we'll move to the next smallest debt armed with the minimum payment for debt 2 as well as the now freed up minimum payment from debt 1 and any extra cash flow we have from each month. So on and so forth as we move further along and eventually get all of our debt paid off. I set up a quick spreadsheet to give me an idea of how quick our debt could be gone. Assuming that we only pay the minimum payments and aren't able to throw any extra cash flow or windfalls, tax returns for example since we'll be getting that shortly. Using the minimum payments alone our debt will be gone in 44 months! That's a bit longer than I'd like, but keep in mind that this assumes we only use the minimum payments and roll them over to the other debts as we get some paid off. We should be able to make quicker progress by throwing tax returns and extra cash flow towards the debts. While we'll be losing my wife's income in June the great thing is that we have two other sources of income besides my own day job. Thanks to past years of saving and investing we have a hefty portfolio that provides over $5k in annual income. I also have my side hustles that have steadily seen their income increase each year and I hope to push them up to $5k of additional income for 2016. That extra $10k will go a long ways toward getting us out of debt even quicker. We aren't currently in the fiscal shape that we'd like to be; however, we know what our goal is and most importantly have a plan to get there. We're excited to have a plan in place to rid ourselves of these burdens. Even though I fully expect more curveballs to be thrown at us along the way we'll cope and adapt as they come up. Recognizing where you stand and where you want to be are the most important steps toward improving your finances. I was recently introduced to Credit Card Insider, an educational resource that helps people understanding credit scores and what credit card is the right for them. What plans do you have to improve your financial situation for 2016? Do you have any debts you need to pay down before you can resume investing? There is indeed a similarity between becomming financially fit and physically fit. The biggest similarity for me is to have a high level plan, an approach that you are comfortable with. This is what helped me to get into running on a bi weekly basis. Now it is a habit and comes automatically almost. On the debt side, we are fortunate not to have debt outside the mortgage. With the almost 0 interest in Belgium, I do consider paying back sooner our mortgage. Then again, our rate is low as well. A good selection of dividend stocks could easily yield more. Having a plan is crucial if you're serious about making big changes to your life. If you have a plan in place you know exactly what you need to do, you have the plan as motivation to keep you on track, and if you start to falter you have something to base changes to your strategy off of. We had been debt free except the mortgage but then between my wife's car, which is really the only mistake debt that we have. The rest of the debt was all taken on while dealing with everything related to our son so it was kind of forced on us. I originally felt that we'd keep our mortgage for as long as possible but part of me is wanting to get rid of it quicker. I don't want completely quit building up our portfolio so we'll have to find the balance between the two but an extra $500 per month might be in the cards once our income gets back up. My plan is to pay this car loan that I have. It's not scheduled to get paid off until 2019, but I want to finish it off next year. I also am wanting to invest more and increase my dividend income (only started a couple yrs ago). Definitely not where I want to be (wish I could have had a conversation with my younger self! ), but working to correct it. Recently got my emergency fund up to 3 months worth of salary, and so this year I'm looking to ramp up investments and make good progress on the car loan. Getting rid of debt early is always going to be a good choice. It might not be the best financial decision but it won't ever be a bad one either. Congrats on getting your e-fund up to 3 months. That will provide a nice buffer if something happens. We recently paid off our house and have no debt. Yeah! We are putting what used to be our house payment into dividend growth stocks. It is very reward to be paying ourselves instead of paying the bank each month. For all you young people, it feels better than we thought. We wish we would have done this years ago. Even if the math says you could make more money investing than paying off your mortgage, the peace of mind and financial freedom is well worth it. That's some awesome stuff. No debt and no mortgage! Y'all can really build some wealth now. I've started leaning more towards wanting to get out mortgage paid down earlier than the full 30. Our original plan was to keep it as long as possible since our interest rate is low enough but man high fixed costs are killer to the budget. Getting rid of debt is never going to be a bad decision. Hey, man. Life happens fast. I know how you feel right now, because I was in a same spot (not being as fiscally fit as I would have liked to be) back in 09. We have different life goals, so I never got swamped down with debt, but you have a plan. Better yet, you have the know-how and a huge base of assets working for you. You're in a great spot, all in all. Everything was going really smooth until the last 1.5 years. That kind of threw everything out of whack. My wife's car is the only debt that I feel was a mistake that we made in taking it on. It was a case of us being a bit shortsighted in where our future was taking us. We had 2 incomes at the time so it seemed really affordable but we weren't looking forward enough since our plan was to have a child and have my wife be a stay at home mom. Is there any particular reason that you are choosing to pay off the smallest debt first.... instead of tackling the larger balance first? Is there lower interest rates on the higher balances? None of our debts have much of an interest rate. Many are at 0% and I think the worst one is at 1.9%. So we're not getting crushed on interest. The reason we're paying down the smallest balance first is because it's the same concept of the snowball with DGI. Dividends might be slow to start but they build on each other over time when you reinvest. Our plan is to pay the minimum on all of our debts and then all excess cash flow each month will be thrown towards the smallest balance. 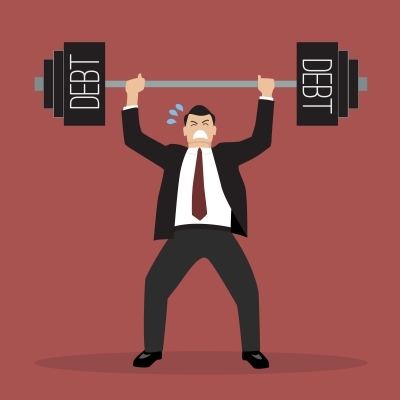 Once the smallest debt is paid down we're then armed with the minimum payment from debt 1 to put on debt 2 with its minimum payment and get that one paid down quicker. Since the interest rates are essentially a wash there's not a big advantage to paying down the highest interest rate first. I'd rather get a positive feedback look and momentum on our side by getting debts paid off and being able to see progress. Right on! Thanks for sharing, I am always curious to learn about other peoples financial strategies. That makes alot of sense since you have pretty much no interest rates to worry about. I have been stopping by for a little bit now. I always enjoy your articles and look forward to reading more in the future! Sorry to hear that y'all are having to go to IVF. We have some friends that are possibly headed down that path later this year or sometime next year. All the best with that. Sometimes investing has to take a back seat to higher priority things in your life. We've essentially been off of investing a little over a year and will likely continue to be on the sidelines for another 1-2 years. If things were more stable with my job I'd have no problem being a bit more aggressive right now with our cash savings but since the oil field is crazy we're conserving cash. Luckily we've got a 6 month emergency fund built up now which is a great buffer.